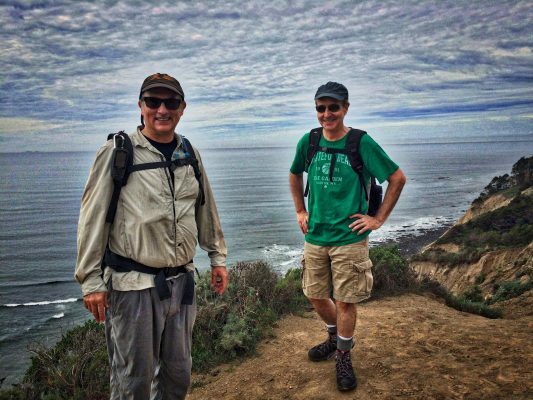 Huge day out with friends yesterday, along Coastal Trail to Alamere Falls (Pt. Reyes). Poison oak in full bloom. Recent stories about sea lion pups washing ashore, disconnected from their mothers who are out foraging for food made scarce by warming waters turned all too real when we encountered one, grumbling for a meal. Added another couple-three miles to route (for a total of 11?) as we walked up the beach looking for another access point to the trail above. Perfect weather, huge vistas, maltey barley wine enjoyed on a driftwood log after lunch. Great company, gorgeous day. Life is good.